Boat Cleaning Advisor Blog: Hard Water Crust on Your Boat in Lake Michigan? 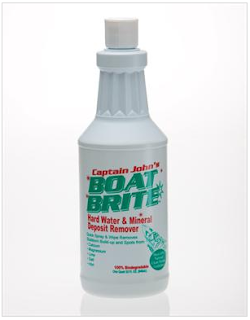 The Boat Brite Hard Water & Mineral Deposit Remover is a blend of planet-safe ingredients designed to do a good job on all freshwater minerals AND it is equally impressive for removing saltwater film and crust. Thanks that I found this blog but supposedly I'm looking for the blog of Condo carpet cleaning Toronto, such a well done post! These products are kinda helpful in yacht upholstery cleaning, i have personally tried this on my private yacht and it cleans carpet well.